30th of June 2017, we were writing on Chateau Des Moriers Facebook page: “In Beaujolais – all is going very well in the vineyard, the weather forcast is perfect, the vineyard is green, splendid thanks to the sunshine but also to this spring rainfalls. Here at our chateau, grapes just have to get ripe!”. 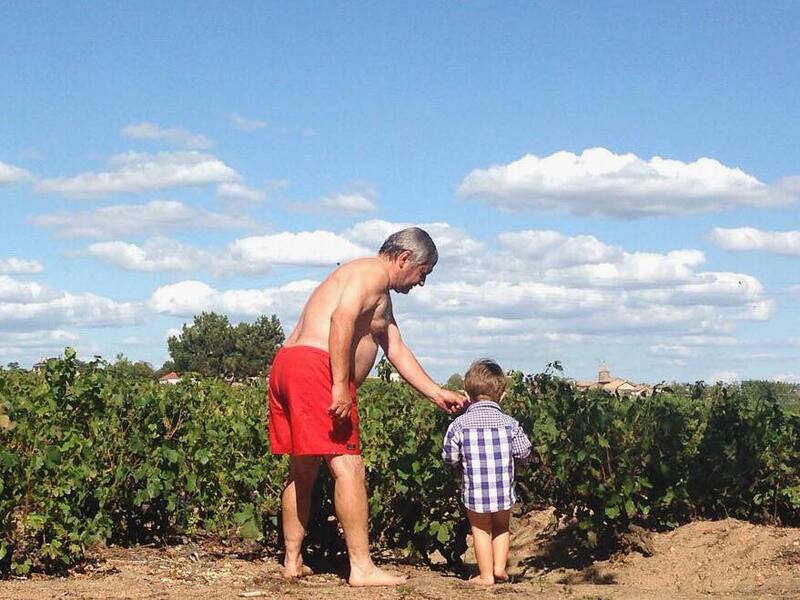 My father had never seen the vineyard in such a good state. A few days later, it’s a big hailstorm that ripped off half of each grape. A very damaged vineyard after only a few minutes of wind and ice balls. It’s never a good sign when wind goes with hail. Summer went on has if nothing had happened, and grapes got ripe on one side, dry on the other. 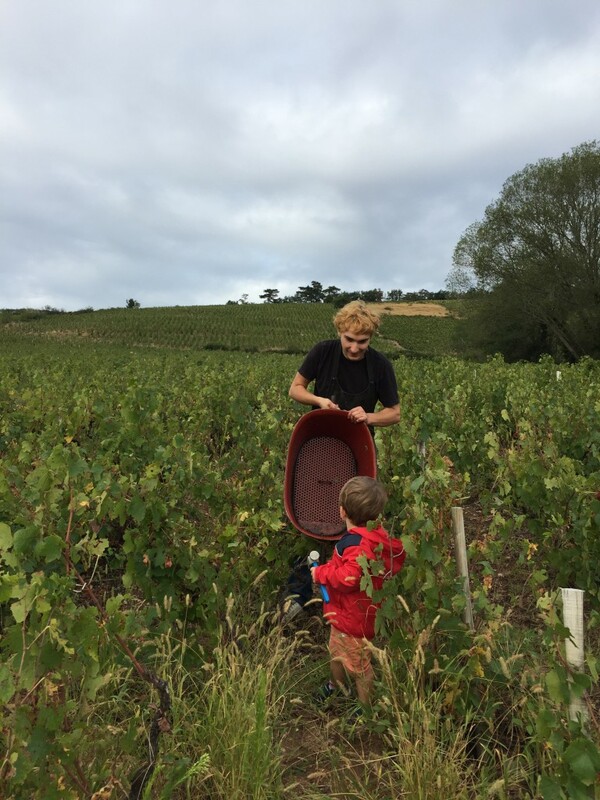 The 4th of September, we were starting the harvest and sorting out the bad and good grapes in the tree but also thanks to the “jarlot”: the small container that carries the carrier of the same name. 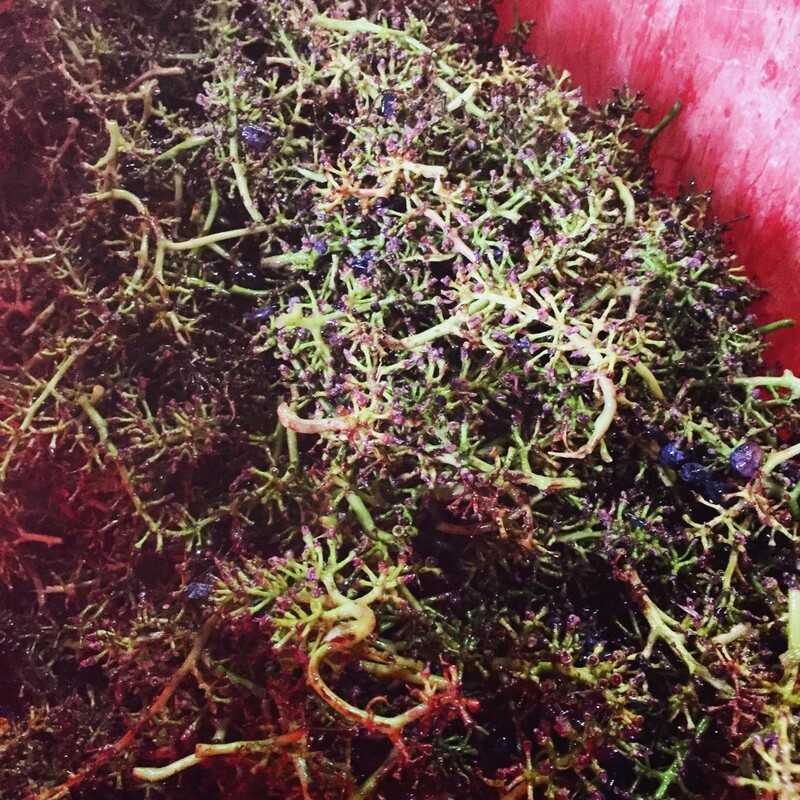 Our “jarlot” is carried on the thorax, allowing the carrier to check out the grapes coming in. In the bottom of this little container, since the dry year of 2003, we put a grill that let the dry grapes pass. Some process invented by my dad and my uncle. 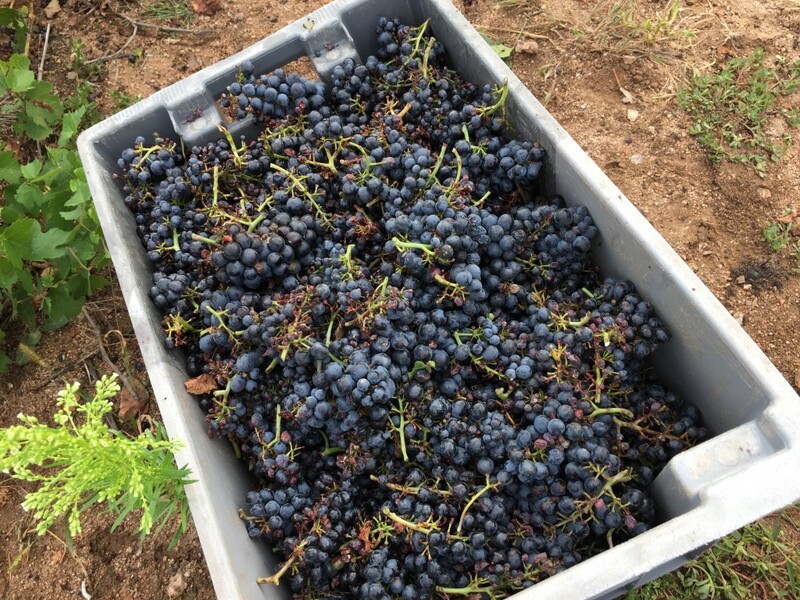 We like to respect the beaujolais tradition of semi-carbonique maceration that let the grapes ferment in full bunches. This necessitate a perfect harvest with a good ration between the grape and the green part that hold the grapes in a bunch. The stalk being predominant this year, we have decided to destalk the grape. 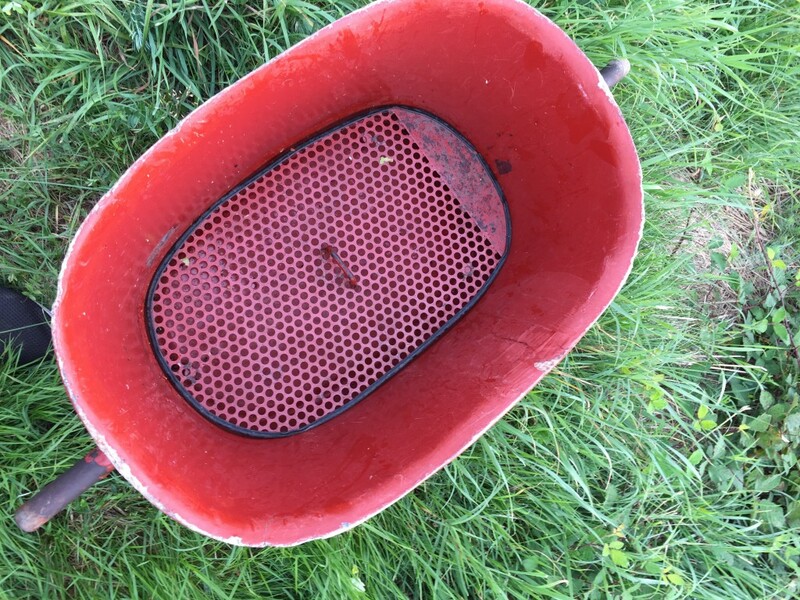 The result is positive, but it’s highly possible that you will never be able to try it, because with the small crop, we have decided to not bottle any wine this year. Adventure to be followed ! 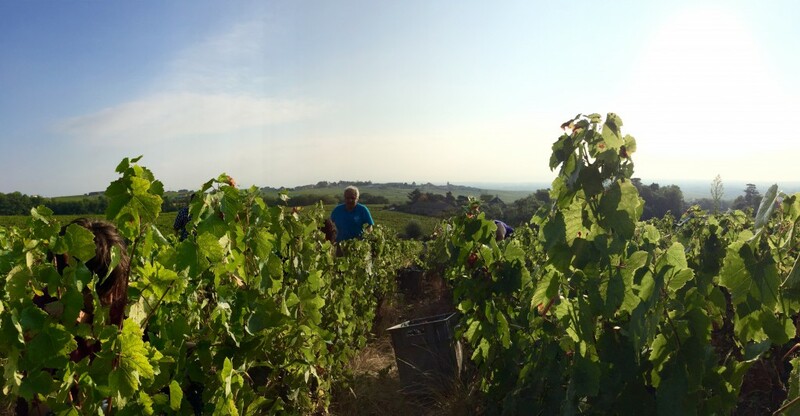 Vive le beaujolais, vive Fleurie ! In France, if you local wine shop doesn’t carry our Fleurie, you will find it on Les Grappes. Bonne dégustation !